Lisa Richards is caught in an abusive relationship and devises a clandestine plan to build her dream and escape. 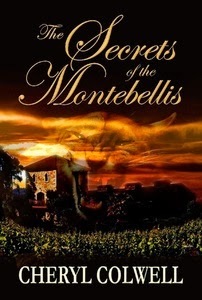 In league with the secretive Montebelli Corporation, she grasps her one chance to gain financial freedom and fulfill her dream to bring new life to the town her ancestors helped settle in the Pacific Northwest. As a stranger to town, Steven Taylor distrusts Lisa's surreptitious behavior and sets out to expose her. Instead, he discovers the truth and becomes one of her few allies. With attacks coming from many directions, they set out on a gripping course, working against time and the traps set in motion to break her. Imminent threats, at work to crush her efforts, thrust her to the edge of destruction. I see she has another book Adriana's Secret coming out in the spring, and be sure I will be reading that as well!